Can I get an amen brothers? I already had a whiskey Monday and Tuesday, but I'm down for whiskey Wednesday too. 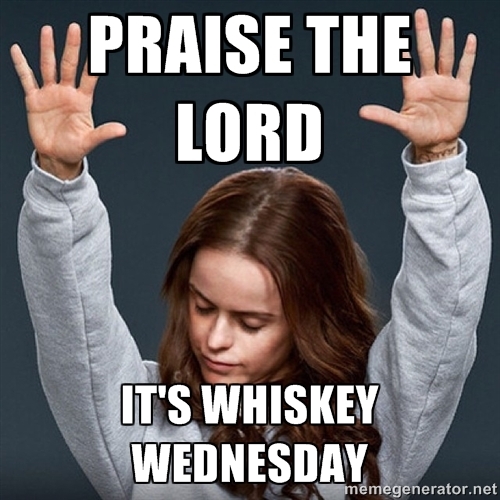 Wait, we have to pick one day to drink whiskey? Nobody asked me about this.